With 2016 officially behind us, it’s time to embrace the new year with a vigor we haven’t felt since we said goodbye to 2015. Every new year brings with it new possibilities, dreams, goals, and the unending desire to be a better version of ourselves from the previous year. As you dream up a vision of who you will be when the ball drops on Dec 31, 2016, does your current vehicle match the person you see? Like it or not, our cars are extensions of our personalities, and in many ways, are the only impression we make to those around us. If your car doesn’t reflect who you want to be in the new year, consider swapping it out for one of the many high quality used cars for sale here in the Chicagoland area. Welcome to 2017, the best year of your life. The year where you will finally gain control of your health, wellness, finances, and every other ambition you’ve dreamed of in the past. One of the best ways to show off your newfound self, is through a new-to-you car. While buying a brand new model would be just as effective at starting the year off right, a pre-owned vehicle can help you stay on track when it comes to your other goals for 2017. Rather than stretch yourself thin with high monthly payments, or settle for a car that isn’t as equipped as you would like due to your budget, consider how a used vehicle can deliver the best of both worlds. More car, for much less than if you were to purchase one new. If you are starting off the new year hoping to make a change for the better, consider how a new-to-you car can help you reach your goals and transform you into an improved version of yourself. Check out some of the most common new year’s resolutions for 2017, and how buying a used car from Chevrolet of Naperville can help you stay on track to reach all of your new goals. Save More, Spend Less: According to the finance experts over at Forbes, the top new year’s resolution each year (aside from losing weight) is to save more money, and spend less. While this can carry over to various aspects of your daily life, it can certainly be applied to car buying. If you are in need of a new car, consider how a used version will help you reach this common financial goal. By opting for a pre-owned version of the car you want, you will spend less on a down payment, make lower monthly payments, and enjoy the ability to save the money you would otherwise spend on a new version. If spending less and saving more is on your 2017 priority list, consider buying a high quality used car from a reputable dealership like Chevrolet of Naperville. Optimize Mental Health: If one of your goals in the coming year is to be a happier version of yourself, you aren’t alone. Millions of people make the annual commitment to improve their mental health, and it is a worthwhile goal to have. Buying a used car isn’t going to get you out of your emotional slump or depression, but making a purchase that will benefit your daily life, will have a positive effect. Used car shoppers are also less prone to experiencing the dreaded “buyer’s remorse,” which can add to a person’s anxiety and depression. 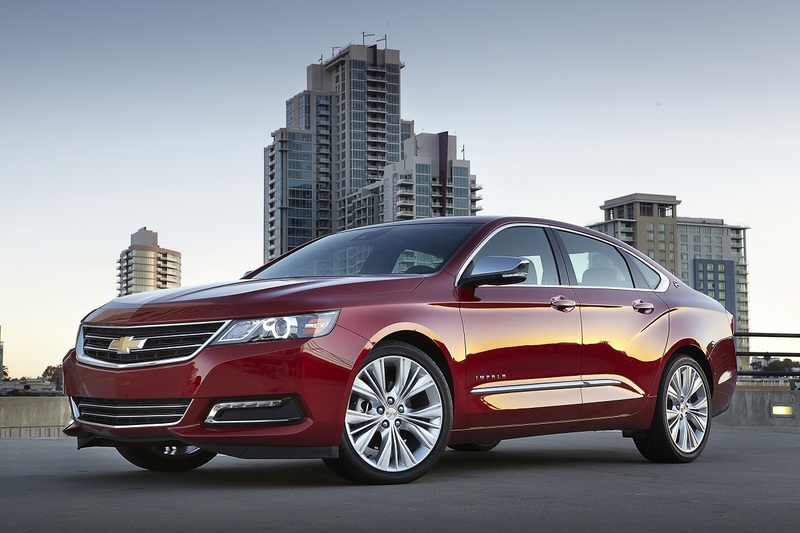 When you find that perfect used car at Chevrolet of Naperville and realize how much money you are saving by opting for a used version rather than a new one, your mood and mental outlook will instantly increase. Rather than regret your buying decision, you will rejoice in your resourcefulness and ability to make a large purchase while staying within your budget. Spend More Time With Your Family: Another common new year’s resolution is to spend more time with loved ones. If you are a busy family on the go, it can be a struggle to find quality time to spend with your significant other and children. Depending on what type of vehicle you drive, your car may be an obstacle to helping you achieve this worthwhile goal. Cars that aren’t designed to maximize your time on the road can stifle conversations, and make family time in the car stressful. If you have a larger family, then perhaps your vehicle is unable to accommodate everyone at the same time. This is obviously a roadblock to increasing the time you spend with your loved ones, and a new-to-you car could be the perfect solution. If space is your main concern, opt for a pre-owned SUV or crossover. A used Chevy Traverse can comfortably seat up to eight passengers, with spare room for their belongings. Don’t give up your limited free time with family because your current car can’t transport you together at the same time. 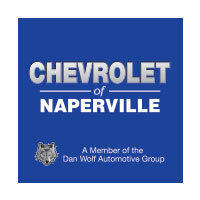 Visit us at Chevrolet of Naperville and find the perfect used car for your entire family. Travel More: Have you dreamed of taking adventures into the Colorado Rockies, or head out east to experience the historic sites of Boston? If your car is the reason you haven’t embarked on your travel dreams, it’s time to ditch it for one that can. Here at Chevrolet of Naperville, we have a huge inventory of used vehicles that are capable of transporting you across the country, and save you money at the pump simultaneously. Fulfill your goal of traveling more in 2017, by purchasing a vehicle that can get you wherever you want to go comfortably, and for less money than a plane ticket. If buying a used car sounds like the perfect way to reach all of your goals in the new year, come down to Chevrolet of Naperville. The expert and friendly team is ready to help you find a vehicle that can assist you in achieving all of your 2017 new year’s resolutions. With transparent pricing and a hassle-free experience, there is no better place to find your new-to-you car in the New Year, than at Chevrolet of Naperville.